This paper investigates the impact of soil moisture-temperature feedback during heatwaves occurring over France between 1989 and 2008. 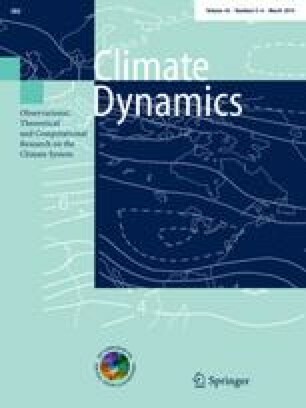 Two simulations of the weather research and forecasting regional model have been analysed, with two different land-surface models. One resolves the hydrology and is able to simulate summer dryness, while the other prescribes constant and high soil moisture and hence no soil moisture deficit. The sensitivity analysis conducted for all heatwave episodes highlights different soil moisture-temperature responses (1) over low-elevation plains, (2) over mountains and (3) over coastal regions. In the plains, soil moisture deficit induces less evapotranspiration and higher sensible heat flux. This has the effect of heating the planetary boundary layer and at the same time of creating a general condition of higher convective instability and a slight increase of shallow cloud cover. A positive feedback is created which increases the temperature anomaly during the heatwaves. In mountainous regions, enhanced heat fluxes over dry soil reinforce upslope winds producing strong vertical motion over the mountain slope, first triggered by thermal convection. This, jointly to the instability conditions, favors convection triggering and produces clouds and precipitation over the mountains, reducing the temperature anomaly. In coastal regions, dry soil enhances land/sea thermal contrast, strengthening sea-breeze circulation and moist cold marine air advection. This damps the magnitude of the heatwave temperature anomaly in coastal areas, expecially near the Mediterranean coast. Hence, along with heating in the plains, soil dryness can also have a significant cooling effect over mountains and coastal regions due to meso-scale circulations. This work is a contribution to the MORCE-MED and Humboldt projects funded by the GIS (Groupement d’Intérêt Scientifique) "Climat, Environnement et Société", with granted access to the HPC resources of IDRIS (under allocation i2011010227). This work also contributes to the HyMeX program (HYdrological cycle in The Mediterranean EXperiment - Drobinski et al (2010); Drobinski et al (2012)-http://www.hymex.org) through INSU-MISTRALS support, the Med-CORDEX program (A COordinated Regional climate Downscaling EXperiment - Mediterranean region, http://www.medcordex.eu) and the GEWEX program of the World Climate Research Program (WCRP).